April is megadungeon month at the RPG Carnival Blog! Megadungeons are part of the hobby’s DNA. Is there a more awesome adventuring locale? The classic setting, megadungeons have featured in countless campaigns over the years. 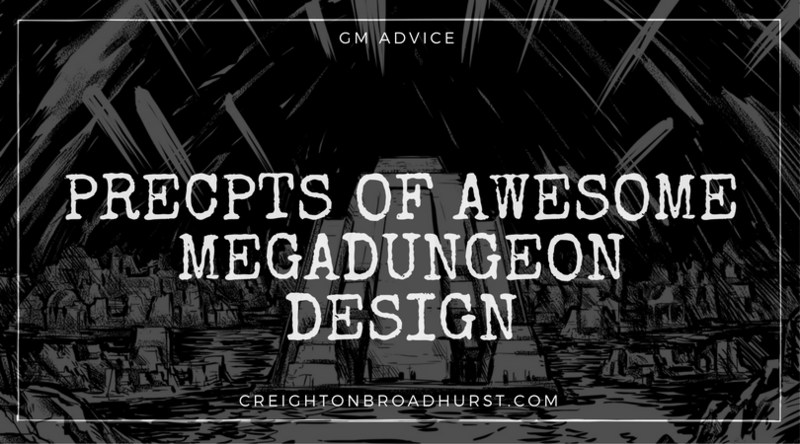 Famous mega dungeons are legion and include Castle Greyhawk, Undermountain, Barrowmaze, Castle of the Mad Archmage, Castle Whiterock, Dwimmermount and Rappan Athuk. 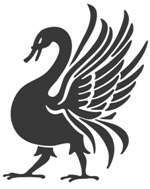 Raging Swan Press has just released the first instalment in its own megadungeon setting: the Gloamhold Campaign Guide. 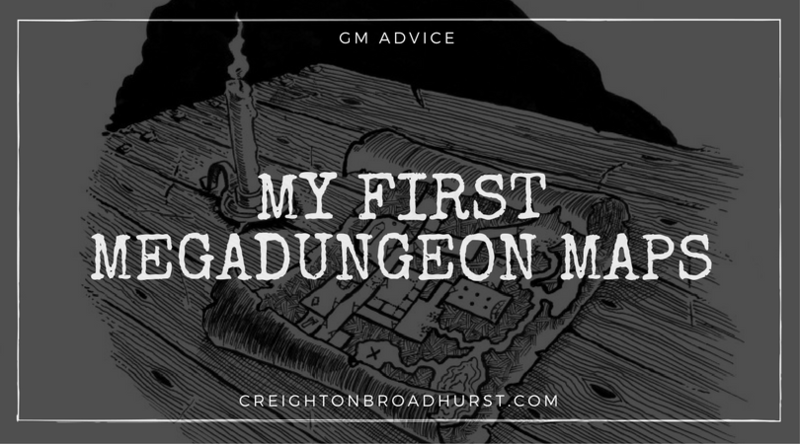 I’ve always wanted to run a megadungeon campaign and I’m delighted to be hosting this month’s entry in the RPG Blog Carnival. Get involved and post up your thoughts on megadungeons. You could post up encounters, level themes, thoughts on megadungeon design or even session summaries. Once you make your post, leave a comment below with a link to your article so I (and everyone else getting involved) can read it. Do they need to be new blog posts to be included? Because I’m pretty sure my older node-based megadungeon series would be on topic. Nope! If you’ve got a relevant post–go hog wild and post it up! I did — the link in the previous comment is the landing page for the entire series. Gah! Sorry. I’m not batting on a flat, well-rolled wicket at the moment! I love the name! Very cool. I ran 16 hours straight (Thurs) then 10 hours Fri. It was at that point when the lady who is now my wife dragged me out of the arena. Well, maybe it was after she learned I hadn’t eaten anything Fri except for screwdrivers. So no, not 60 hours straight. My absolute pleasure–and thanks for posting up your megadungeon musings! Hello, everyone! My offering for this month’s RPG Blog Carnival is a quick view to Whitehearth, Eberron’s very own megadungeon and how to use it, even if you campaign is not set in Eberron. Thanks for posting your quick view up, Gonzalo! Much appreciated. For all fans of Mega Dungeons, seek out and listen to The Iron Realm Podcast, rendered with a compelling musical score and narrated dramatically in the olde radio style. Not intended for younger audiences, The Iron Realm is a plane of total darkness in which exists the ultimate infinite maze. Seven classic characters venture through deadly corridors, face traps, and battle unspeakable creatures. Listen or play. The choice is up to you.